Knowing word families is an important skill to master in the early grades. 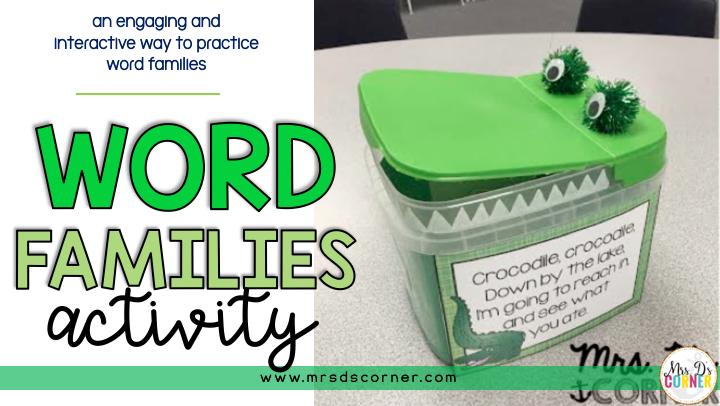 Here is an engaging and interactive way to practice word families with a container you may have in your house! 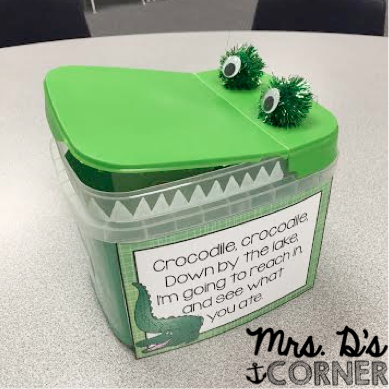 Crocodile, crocodile, down by the lake… have you ever seen the pin for this cute little guy on Pinterest from Growing Kinders? I saw it the other night and immediately knew that I needed to make one for my classroom (which is the one you see above). 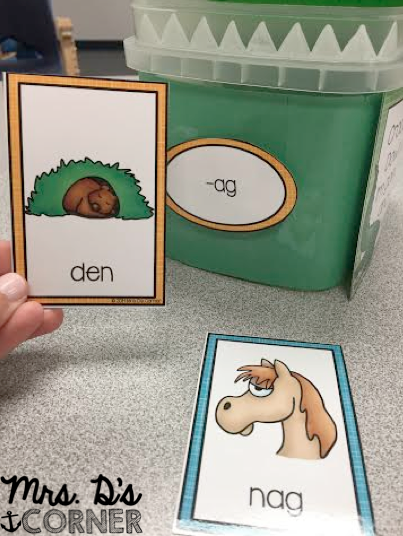 On Growing Kinder’s blog, she used hers for an alphabet game (which she has for free in her TpT store)… but I’m not currently teaching the alphabet to all of my students. I wanted to use this cute little guy with all of my students, so I saved the pin in my mind for a couple of days. 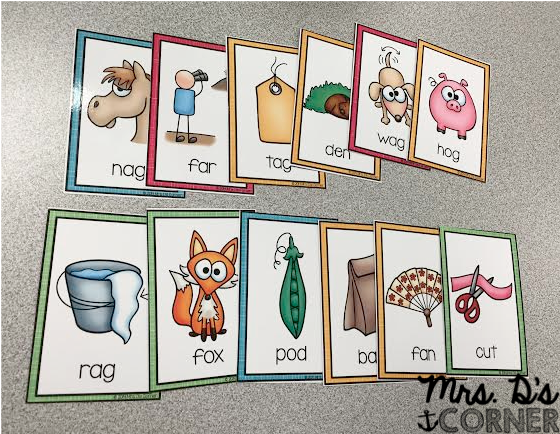 We were getting ready to start rhyme words and I was working on a pretty big set of rhyme cards for my kids to use. I had the cards ready to go, we used them in class one day and then it hit me. The crocodile! So as soon as I got home I checked underneath the kitchen sink to see if we had any of these Cascade detergent containers. Thankfully we had one! I quick put all of the little detergent pouches in a baggie and snagged the detergent container for my pinspiration project. I actually ran him through the dishwasher last night to clean him up (the last thing I needed was for a kid to put a hand inside and then put said hand in mouth… first of all, yuck, and second, wasn’t really trying to have an unscheduled trip to the nurse’s office). I told them it was going to be a crocodile and that was the end of any morning work. Thankfully my conference period is first thing in the morning! I hurried to finish him up and as soon at the clock turned 9am, my kids were ready for this crocodile. I let them explore it first. Open his mouth, close his mouth, make noises, clap their hands together while pretending to be an alligator. You name it, we covered it. I wanted to make sure that when it was time for rhyme words, they were focused. On the front of the crocodile, I put a velcro dot to put the ending rhymes on it. 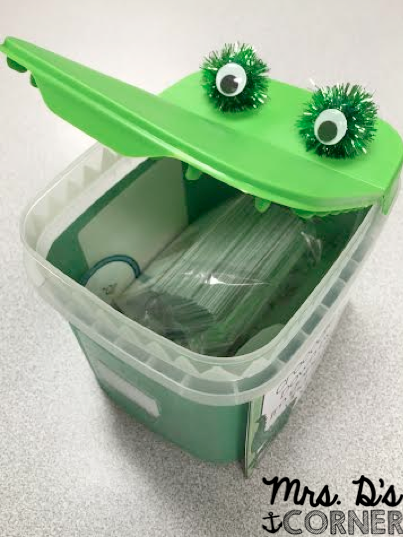 I picked out some rhyme cards (we were looking for -ag words) and put them in the crocodile’s mouth. We took turns picking cards out of the crocodile’s mouth and matching up it up with the rhyme sound we were looking for. We made a pile of rhyming cards and non-“ag”-rhyming cards. The kids did AWESOME! and they completely loved the crocodile! I’m so glad because now I’m thinking of making some math cards and other language arts card sets and using the crocodile mouth. Hey, whatever gets them motivated and excited to learn! 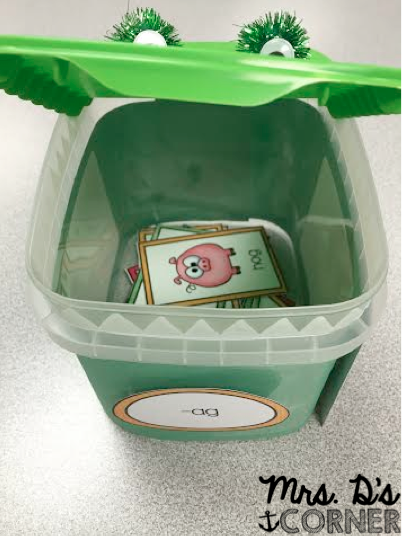 The best part about him is that I can store all of the rhyme ending ovals and the rhyme cards inside! 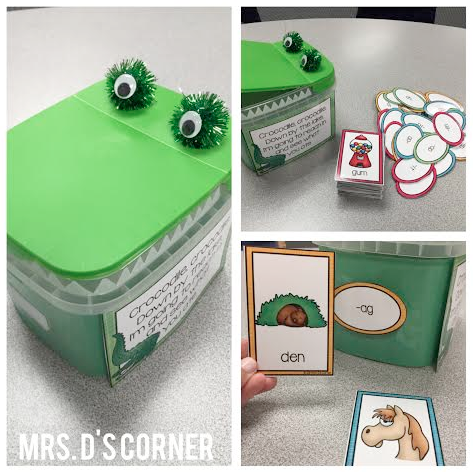 What’s one of your most favorite pins that you’ve actually created or used in your classroom? Tell us in the comments below!